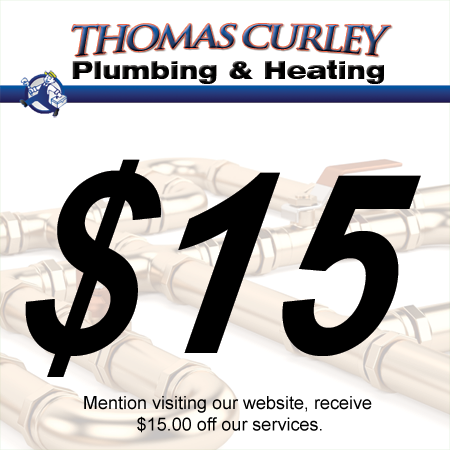 From the time you call us to scheduling your service call to completion you can count on Thomas Curley Plumbing & Heating for all your Plumbing needs. Never before has the need been greater for quality home water purification. That is why we recommend Pentek Home Water Filtration systems. 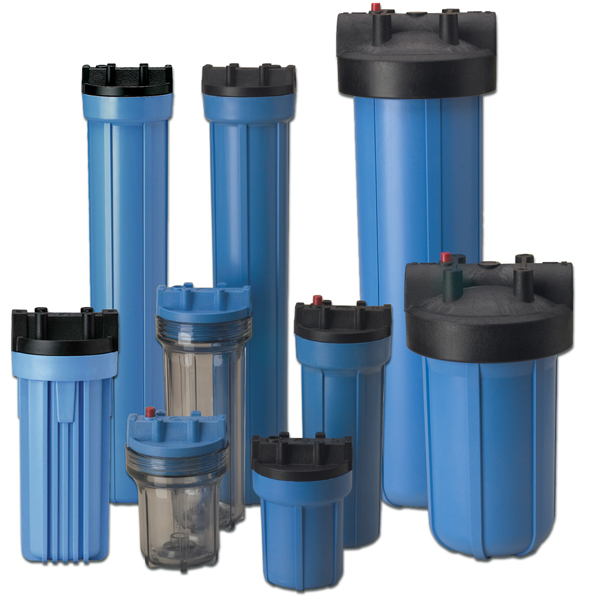 Pentak’s 35 years of experience in water filtration has made them the experts. In fact, they originated most of the technology on the market today. For this reason we prefer to sell and install Pentak Water Filtration Systems. Thomas Curley providing residential and commercial plumbing and heating. 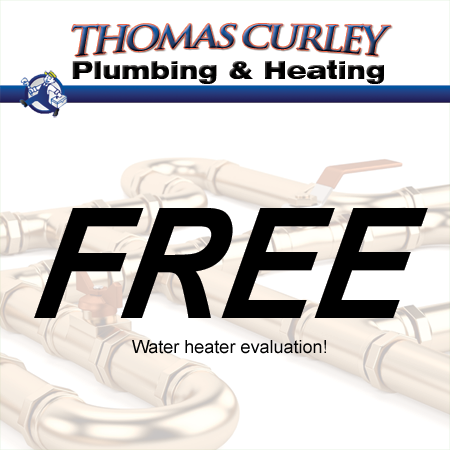 Thomas Curley Plumbing & Heating is family owned and operated since 1972. We provide quality plumbing and heating service to both our residential and commercial customers Throughout Great Neck, Manhasset, Roslyn, Port Washington, Glen Cove, Brookville, Upper Brookville, Flower Hill, Munsey Park,Cold Spring Harbor, Lyodds Neck, And Entire Nassau & parts of Suffolk County. We are now licensed and insured in all New Your City boroughs. Our name carries a distinguished reputation where quality workmanship, honesty and follow-up are without compromise. Thomas Curley, Founder and Master Plumber, has laid the foundation for a second generation partnered by his son John Curley. Through concise management the Curley Family leads a team of carefully selected servicemen each hour of every working day. Plumbers and Service Technicians must fulfill ongoing plumbing and heating training due to an ever-increasing amount of new products and methods. In addition each of our servicemen must demonstrate patience, courtesy, and a renewed ability to learn. 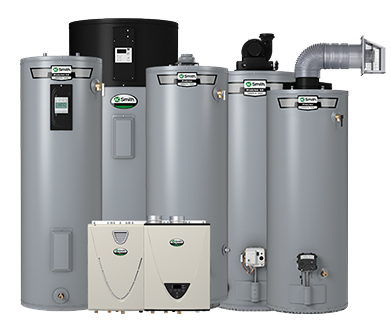 Do you need boiler repair or hot water heater installation in Manhasset? 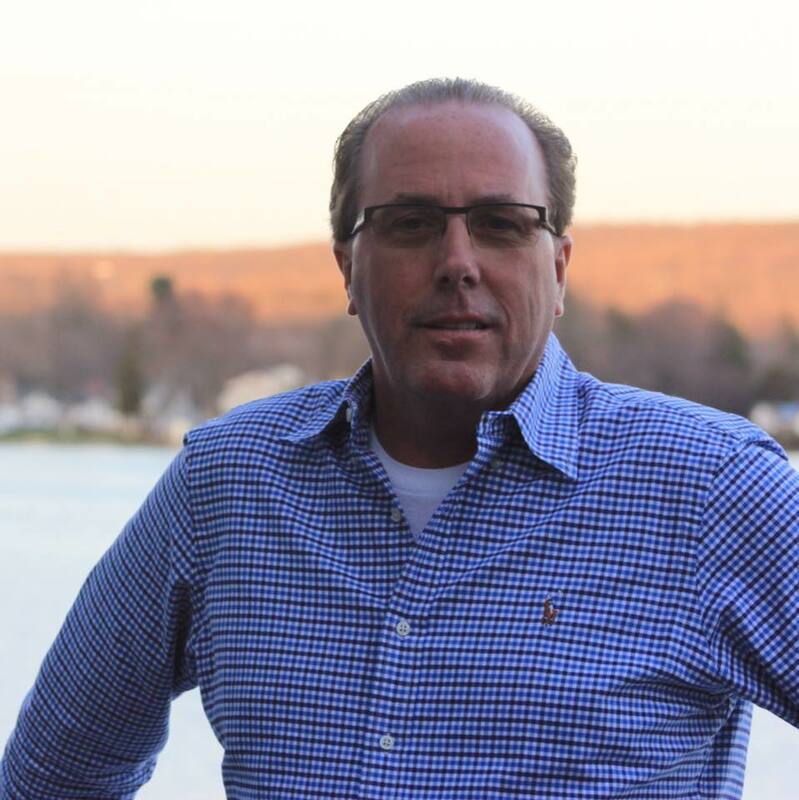 If you are looking for a plumber in Manhasset you have come to the right place! Good day Mr. Curley, We had put up with the “knocking” on one of our steam radiators for nearly one year. At the suggestion of a mutual friend, we called you to get an evaluation analysis and estimate, and your Prima sent us Jason. How fortunate for us to have had the pleasure of meeting Jason and have him thoroughly explain our problem and how it should be fixed – and then have Jason go about his work and get the job done. Jason is a thoroughly knowledgeable and professional gentleman, and communicates perfectly! He is an asset to your team and I only wish there were many more like him in the ever important trades in our country! We told Jason how we felt when he left us on Thursday, but I would appreciate your letting him know that we contacted you about the excellent work he did for us. Jason is & was great! 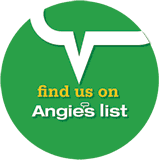 Please Leave Us a Review Click Here! ONE CALL DOES IT ALL !! Fully Screened Technicians Fully Licensed & Insured Up-front pricing on most jobs Free Estimates. Always a live friendly representative ready to take your call 24/7 Fast Service Utmost respect for your home 100% satisfaction guarantee! 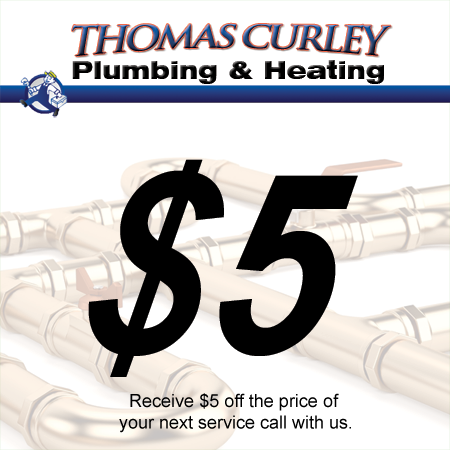 Receive $5 off the price of your next service call with us. 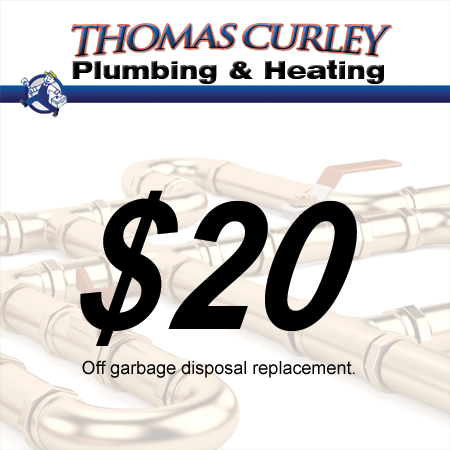 20.00 off garbage disposal replacement. $100 off gas leak detection service! 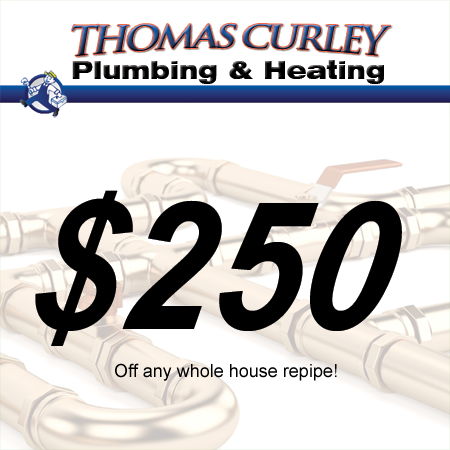 $250 off any whole house repipe! Mention visiting our website, receive $15.00 off our services. 25.00 off whole house water filtration installation. 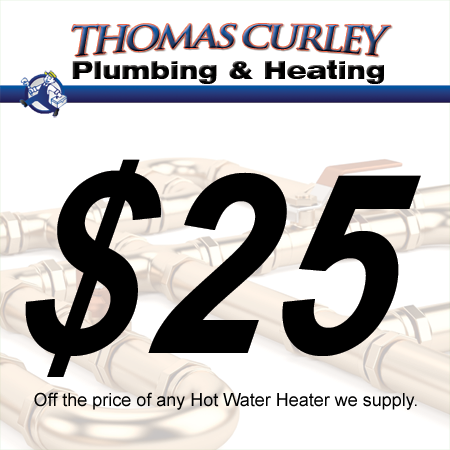 Receive $25 off the price of any Hot Water Heater we supply. 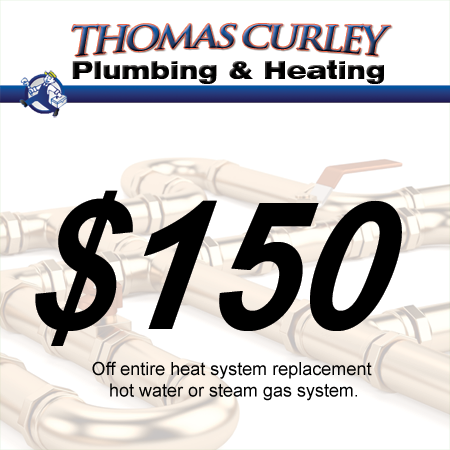 150 off entire heat system replacement hot water or steam gas system. $150 off any sewer or water line excavation repair!